Home » Inspiration » What does an Off the Derech Chassid Miss Most? What does an Off the Derech Chassid Miss Most? 18 years ago, I left behind the bright lights of the secular world for the holy glow of Torah and Shabbat and the dream of creating my own, personal Mikdash Me’at. And the truth is that, since becoming religious, I’ve rarely considered those formerly observant Jews who passed me as they were making a mad dash for the exit while I was just pushing my way in through the turnstile. But occasionally, I do wonder how a human being could possibly give up all THIS. Shulem Deen is a former Skverer Chassid, a divorced father of 5, and a TOTALLY awesome writer. Last week I read a fantastic article he wrote for Tablet Magazine on his mixed feelings about his newfound standoffish non-Chassidic neighbors in “Hipster” Bushwick, Brooklyn. “What I wouldn’t give these days for one nosy neighbor. For someone to chat me up in the hallway, ask where I’m from, what I do for a living, and how much I earn per week. Or at least for someone to knock on my door early one morning looking to borrow some milk, a cup of sugar, a few eggs for breakfast. I’m not a lonely old man living alone in the middle of nowhere. I am a 36-year-old New Yorker, born and raised in Brooklyn, and I have many friends scattered throughout the five boroughs. It’s just that I’m not used to meeting neighbors and sharing no more than vague and grudgingly polite pleasantries with them. Where I come from—the Hasidic communities of Borough Park, Brooklyn, and New Square, and Monsey, N.Y., northwest of the city—the neighborly indifference that most New Yorkers are used to doesn’t exist. In the past, each time I moved to a new home my fellow Hasidic neighbors came knocking. They brought piping hot pans of potato kugel, plates of freshly baked chocolate chip cookies, and rolls of cinnamon cake. Then they would ask for my name and occupation and spend a few minutes trying to place me within an appropriate sphere of mutual friends, relatives, and acquaintances. In my case it was usually, “Deen? I don’t know any Deens, but I know a Deem. You sure your name’s not Deem.” I was sure it wasn’t. Several years ago, I decided to discard religious observance and the austere lifestyle with which I was raised…[and] I decided two years ago to move to Bushwick—Brooklyn’s newest bastion of hipster faux-bohemianism. There are many many differences here, of course, but I was most struck by the standoffishness of my new neighbors… Read more of “Too Cool” by Shulem Deem. A few days after I read this article, I came across the far more troubling story of a 26-year-old ex-Satmar Chassid named Luzer Twersky. Twersky had a traumatic childhood, got married at 20, had two sons, and was divorced by the age of 22. Following his divorce, Luzer Twersky was homeless for six months and bathing in public bathrooms in Brooklyn. Today, Twersky is non-observant, but he goes back and forth in terms of dress. One day he looks like any other Chassid you’d pass in Williamsburg. And the next day, he’s wearing jeans, a green T shirt, and his head is bare. But no matter what he’s wearing, he’s chain-smoking and throwing around a lot of four-letter words. Looking at him, I felt that something is deeply wrong here. He said this final line with a big toothy smile. But to me, Luzer Twersky doesn’t look so happy. Not at all. He looks sad. He looks confused. He looks like a lost boy who no longer knows where home is. His mouth smiles, and his eyes tell such a different story. so sad….but in my heart i truly believe that they will both return home…every dog does…most of the time with their tail between their legs…hope its out of love and true thirst for spiritual fulfillment that is the ultimate fulfillment in life and makes life….good. 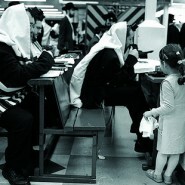 Most people that leave frumkeit leave because they see the imperfection of frum Jews. Calling them dogs or comparing them to dogs [something that is problematic hashkaficly if not also halachically] is not helpful to the conversation or to convincing anyone to return. Sometimes the thirst for spiritual fulfillment is not enough when it is mixed with physical or sexual abuse, hypocrisy, or a myriad of other imperfections that human beings are capable of. I hope that the two men who were written about find a community and a way to express themselves as Torah-observant Jews even if they never have anything to do with chassidim or a chassidish community again. I think she meant dogs in the context of loyal servants, loyal members of the household, relating to the positive aspects of the species: that our neshamas are loyal to Hashem and even when we go astray we know we can return to our “Master”…. You sound so bright and curious. There is so much to learn. Please make time to really study Judaism–authentic real Judaism. And then help us make it better and ease others’ pain. It’s true Satmar is known for its extremism and insularity. Nevertheless, no self-respecting Jew with a basic knowledge of Jewish history would eat pig meat or associate with nonJewish women. Such behavior shows a lack of understanding of Jewish values and a troubling lack of solidarity with the Jewish people.